PROFESSIONAL HYPNOTHERAPY & CERVICAL DYSTONIA TREATMENT IN ENFIELD, NORTH LONDON AND WORLDWIDE. Find & live your purpose without fear or pain. I can help you make positive emotional changes in your life starting today. Weight loss program consists of 4 sessions of hypnosis to retrain your brain to have a better relationship with food. Stop smoking with me in 1 session, amazing results. Phobia removal is a one session. Cervical Dystonia program is a unique treatment that creates lasting change. Whether you’re trying to lose weight, stop smoking, remove a phobia, overcome pain or control anxiety, I am here to facilitate that change with you. I am based in Enfield, North London, I can work with you face to face in my therapy room, via mobile or Skype anywhere in the world. I've had 2 sessions with Neil. We did one session on reducing chronic pain which I have had for 15 years. The sessions made a noticeable difference, I feel in control of the pain and have the ability to stop it coming on as strong as before. Prior to the session I didn't quite believe that it could help, how could it stop or improve pain I'd had for 15 years when nothing else had worked. But it has helped! I'd definitely recommend Neil and a session to anyone in pain. You've got nothing to loose and a lot to gain from giving it a go! Neil genuinely cares about people and wants to help! Thanks again Neil! I have had 4 sessions with Neil for weight loss and I've found it really amazing. Neil is supportive ,realistic and uplifting and I really enjoyed the sessions ..the time out. I've always been a real picker and had terrible sugar cravings I've lost a stone in the 8 week period and I've not been on a diet I've reduced the picking and 'emotional eating'. In the past I've tried diets lost a few stone put it on again with more I'm sure lots of you relate to this. I feel this has really worked in my mind .I would highly recommend it ..you're worth it !! I am not saying too much at present, as it is still early day's but after 30 years of smoking 20 a day, I have now been smoke free for just over three week's. No patches or gum, no grumpy mood swings or biting peoples heads off. From a sceptic to a believer, and I would recommend it to anyone. 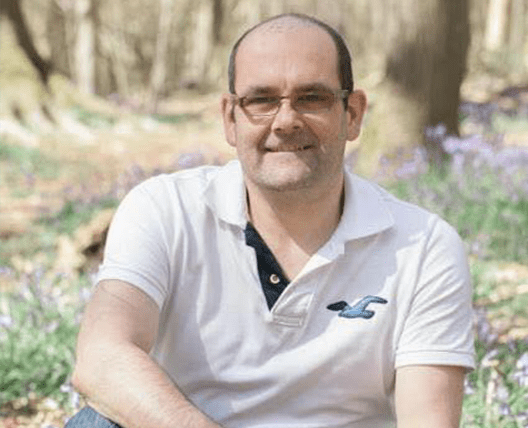 Copyright Neil's Learning Pathways - Hypnotherapy - NLP - OldPain2Go - Dystonia in Enfield London - Hertfordshire and across the world.